Neodymium Countersunk Industrial Magnets are a special type of neodymium disc/block magnet with a hole fit for screw. Magnets with countersunk mounting holes allowing them to be screwed in place with the screw head flush. We can provide neodymium countersunk magnets, either as discs or rectangles for various applications. Neodymium countersunk magnet is special type of neodymium disc/block magnet with a hole fit for screw. Magnets with countersunk mounting holes allowing them to be screwed in place with the screw head flush. 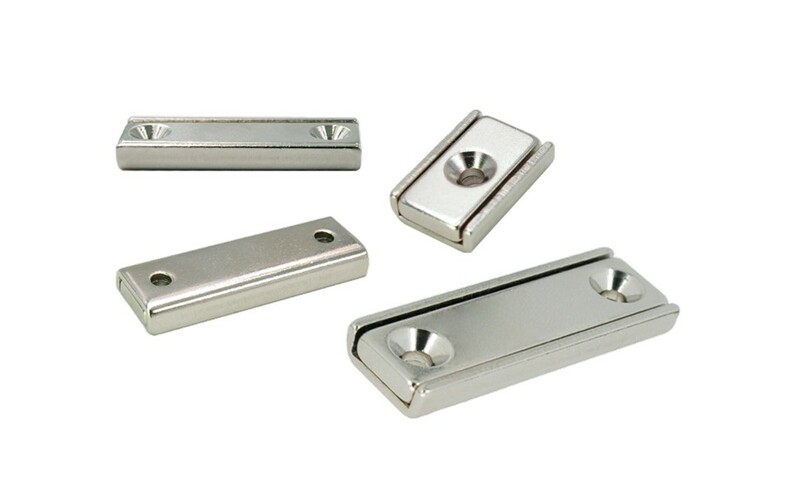 We can provide neodymium countersunk magnets, either as discs or rectangles for various applications. You will find various size neodymium magnets with countersunk holes which can be used as holding magnets or even wind turbines. The more advanced items than countersunk magnets are the magnetic assemblies, which give you a even better options for your mission critical applications. Neodymium is the strongest available magnet alloy at up to 52MGOe. 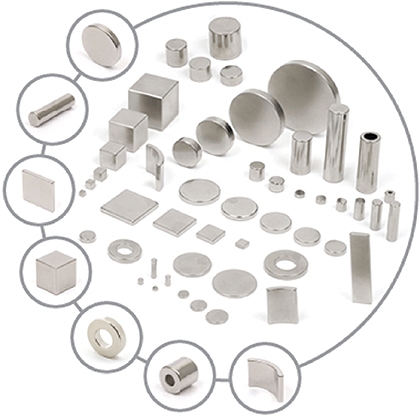 The use of Neodymium results in smaller, more cost-effective magnet solutions replacing older materials like Alnico and Ceramic in many applications. Magnosphere.can help optimize performance and cost with Neo magnets in grades from 33 to 52MGOe and operating temperatures up to 230°C/446°F. (NdFeB) Neodymium, a rare earth magnet, is made up of Neodymium Iron and Boron and is moderate in price. A neodymium iron boron magnet is usually plated or coated (Examples: Nickel Plated, Epoxy Coated, Parylene Coated). Neodymium permanent magnets usually offer the best value when comparing price and performance. Stock Neodymium magnets are available in large quantities and dimensions. We provide a range of high magnetic strength Rare Earth Neodymium magnets including Disc magnets, Deep Pot magnets, Shallow Pot Neodymium and Round flat neodymium magnets, perfect for low profile applications, or high power holding applications. Due to their high strength and low cost, neodymium magnets revolutionized magnetic products. These magnets are the strongest developed thus far. Because neodymium magnets are between seven and fourteen times stronger than ceramic magnets they are sometimes called super strong or powerful magnets. Magnosphere sells the strongest type of neodymium rare permanent magnets on the market at Magnosphere.co.uk with a grade range of N35-N52.Grade N52 neodymium disc magnets measuring only ½” have a pull force of 32 lbs.! Buy Neodymium Magnets at Magnosphere and get a better deal!